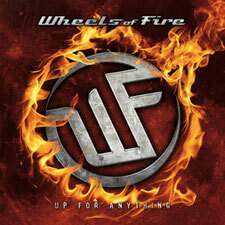 Two and a half years after their debut album “Hollywood Rocks” WHEELS OF FIRE returns with their second record “Up For Anything”. It will be released through Avenue Of Alies on November 30th, 2012. The first release of the band has reached the #42 position on the charts of the Japanese magazine BURRN!. Let's see what happens to this one. 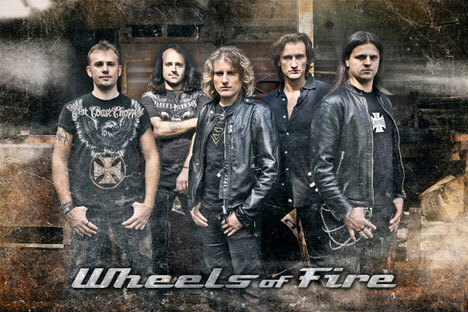 WHEELS OF FIRE has established themselves in the club circuit in North Italy as an entertaining live act with a stable line-up. Front man Davide “Dave Rox” Barbieri and guitar player Stefano Zeni were already the core of the recording line-up of “Hollywood Rocks”. The compositions of Dave and Stefano impressively show the progression of the band with a contemporary Rock act incorporating modern elements into their sound while staying true to their musical roots of the Melodic Rock sound in the 80's. WHEELS OF FIRE give us instantly memorable vocal lines, choruses with carefully arranged harmonies, hook laden powerful guitar riffs, and solos combined with well balanced keyboards, piano entries, big sounding drums and solid bass tracks. Dave delivers a highly professional production job on the album and, was mixed and mastered by Roberto Priori (Danger Zone).